AfriOceans Conservation Alliance and Thorp Motor Group announced the establishment of a dynamic new partnership in Marine Education. At a ceremony at the Fish Hoek offices of Thorp Motor Group on Thursday 12 April 2012. 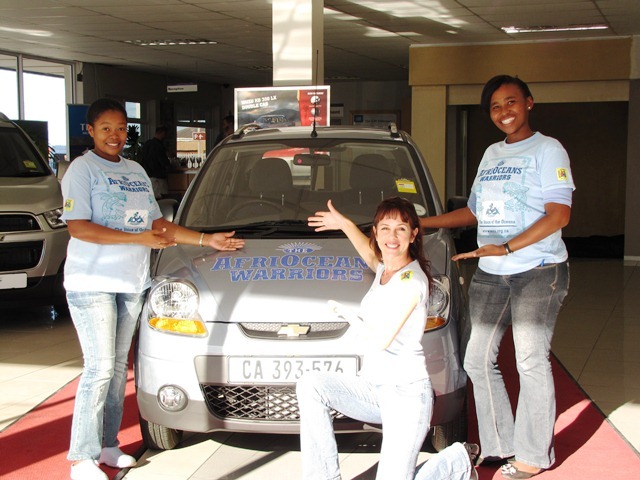 Branch Manager Rene Cronje said: “Thorp Motor Group Fish Hoek Branch is proud to sponsor a new Chevrolet Spark Lite to AfriOceans Conservation Alliance to assist in their AfriOceans Warriors Programme. This programme works with schools in educating the learners in conservation matters particularly regarding our Oceans. To the AfriOceans Warriors and all the school tribes, “Go,Go,Go” and have fun while learning!”. The AfriOceans Warriors Programme is a unique environmental education programme, the largest of its kind in South Africa, sponsored by the National Lotteries Board Distribution Trust Fund (NLDTF). It is already working with 12 local Primary schools in the South Peninsula, reaching 420 learners every week. Over the next three years the Programme aims to reach many communities and learners along our coastline. 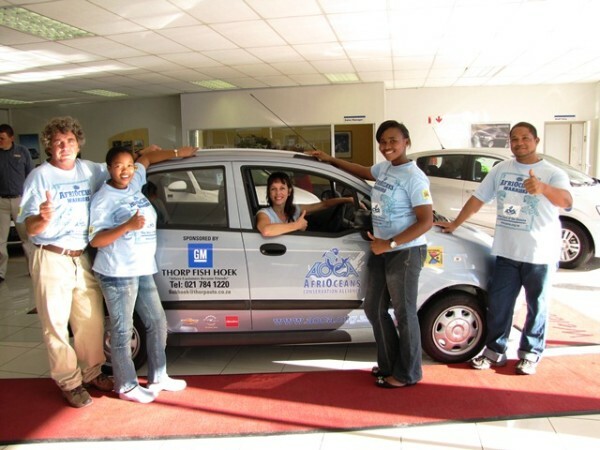 “The support of companies like Thorpe Motor Group in Fish Hoek, who align with our mission to conserve and protect our natural resources, is what makes the important work we do possible. 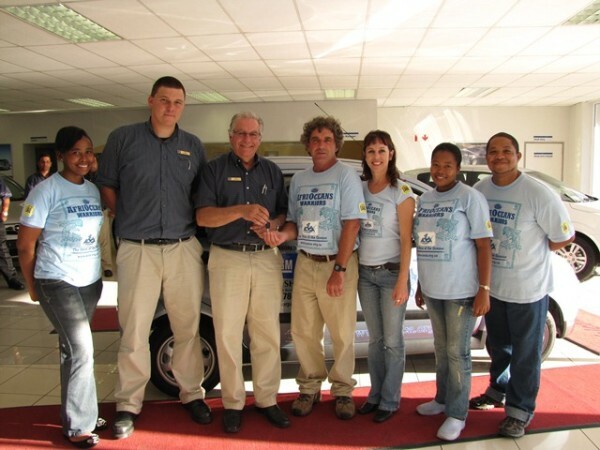 We are very excited about our new partnership with Thorp Motor Group and General Motors – together we are going the extra mile and making a difference!” said Executive Director of AfriOceans, Lesley Rochat. The Chevrolet Spark Lite that has been sponsored is one of the most environmentally friendly vehicles on the road, with the lowest CO 2 emissions measured of any similar type of vehicle. “We must become the example to those we teach, and reducing our ecological footprint is key to a sustainable future.” said Corr.